the little truck is adorable. This is so cute, Elena! I love how you added the figgy pudding and the snowman in the window. They are perfect with the sentiment you added! Cute.. this a baked good delivery truck! there are so many possibilities with this die! Aww, your little truck is SO cute! Love the little guy peeking out of it! Your truck is adorable, love how you did your windows with your cute images. You did a great job with this. I love how you used different images from everyone else. The way you colored the desert makes me want some. Beautifully done. 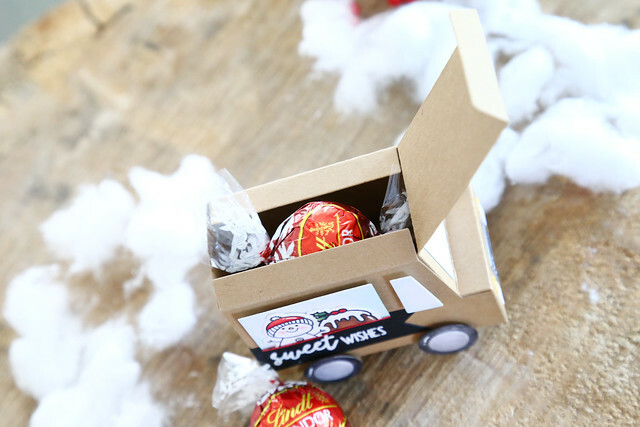 Sweet way to give an Advent treat. This truck is the greatest treat box I've ever seen !! This is wonderful. I love this die. What a fun filled delivery truck that anyone would love to receive. Very cute! Hi Elena, Your truck is just adorable! You're right, it does look like a food teuck and that snowman has the cutest little face! Thanks for showing how the box closes, I was wondering about that! The truck is too awesome! Love it filled with treats! This is so cute!! I love how the truck is one piece!! Thank you for giving an idea how much you can fit in the truck. So cute with the Kraft paper! Adorable!!! It looks like the cutest bakery delivery truck ever! Such a cute box! Great details! Love that cute snowman passenger! I'm in love and I want it right now!!!! LOL! Oh my!!! Your little truck is adorable!!! Love it!!! Love your Christmas food truck, so adorable ! And as you say, great for an advent calendar ! Thanks for sharing ! 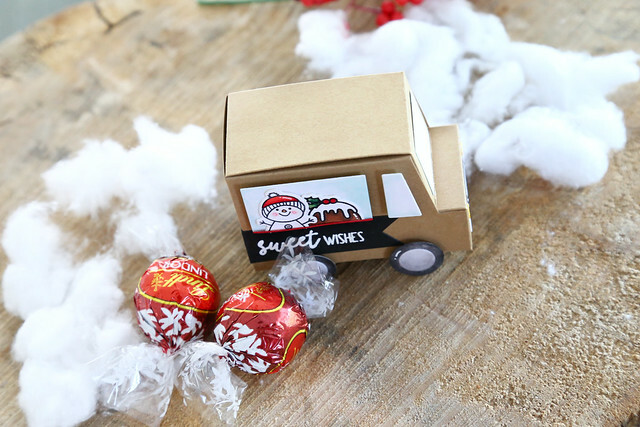 Super cute truck treat box, love snowman and banner sentiment. Thanks for showing the size with the Lindt truffles, one of my faves. This lil' project is so wonderfully sweet. This would look good as favors for my party. 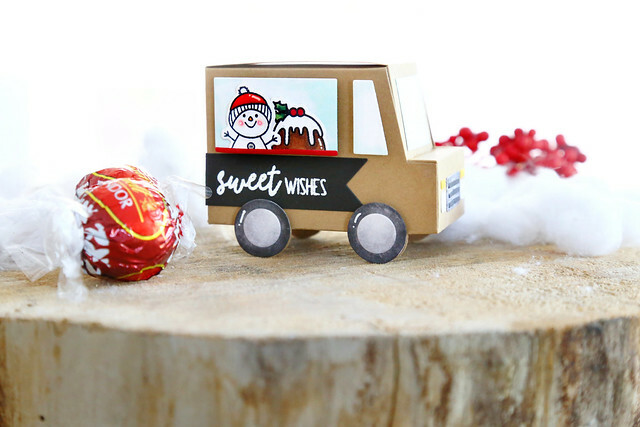 So sweet...love the great delivery truck die. This is such a fun die! So cute! This truck die is so unique..